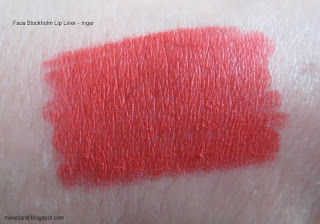 Face Stockholm's lip Liner in Inger is a fantastic bright warm red. 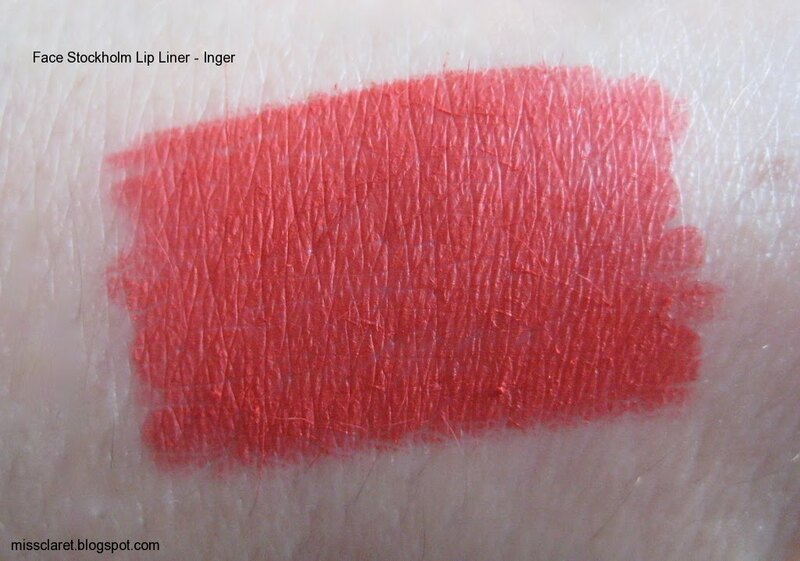 Although the shade is impressive, I found it to be a little dry in consistency and it initially left little bits of product on the lips. I'd recommend wearing it with a moisturising lipstick or applying it after your lipstick as it blends well with a little help. I've been teaming it up with my Diorific Lipstick in 014 Dolce Vita Red and love it. Face Stockholm's colour palette is impressive and it certainly makes choosing one pretty much impossible. 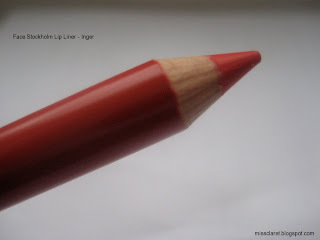 It's a white color in the pencil; it glides on perfectly clear with no shine, color, or finish. 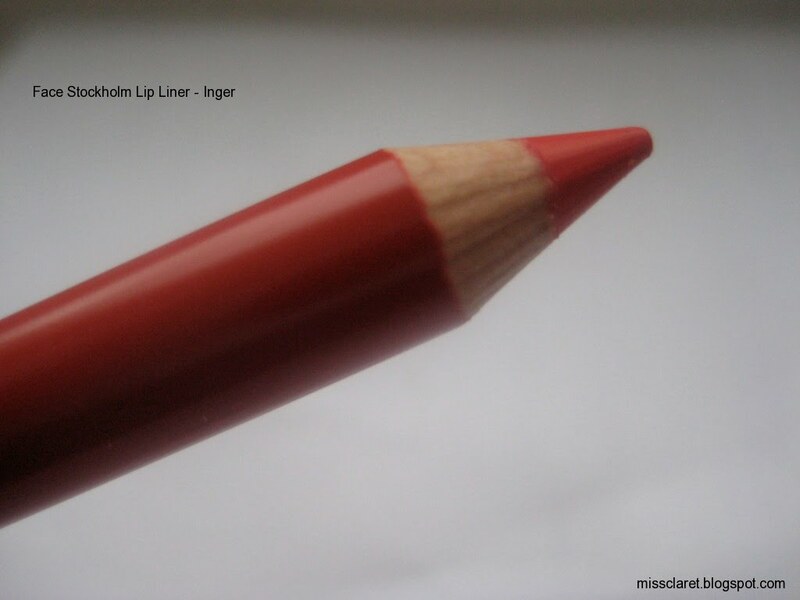 You can use it like a traditional liner around the edges of your lips or all over. It's magical at keeping any shade of lip-gloss or liner locked in place for hours! It's waterproof and the effect literally lasts all day without anything you apply on top of it. No feathering or sliding around! It's not cakey or heavy; it somehow manages to act like an invisible shield that protects your application! I love it with lip stains-they tend to be a bit dry and my "Ozone" helps me keep the color inside the lines without messing around...Thanking you.